Come and rest your head in the lowest place on earth. 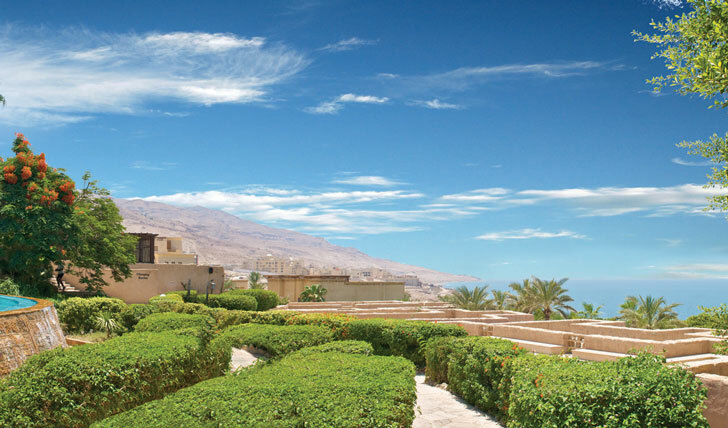 The Movenpick Dead Sea Resort & Spa harnesses perfectly the mineral riches of Jordan’s natural phenomenon. And it does so with some serious luxury panache. This is the ultimate desert sanctuary. Careful thought has gone into this hotel which blends itself perfectly within its traditional stone village and lush garden surroundings. Hugging the northern shores of the Dead Sea, you’ll get to enjoy views of the beach and beyond as you while away your days relaxing and rejuvenating beside its infinity pool. And nestled as it is at the lowest point on earth, the change in atmospheric pressure here gives it an extra feeling of pure tranquillity. In keeping with the hotel’s mindful ethos, the rooms hint towards tradition in terms of style and are dressed with warm, natural colours perfect for a soothing setting. You can choose from a beachfront, village or main building room or suite with sea, garden or mountain views. 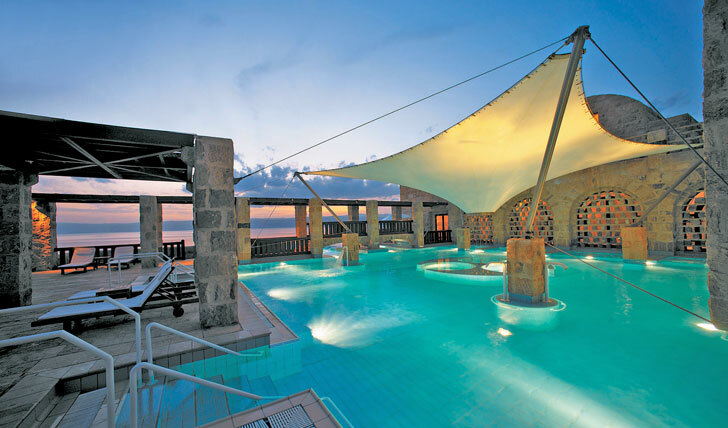 However, our ultimate pick would be the Royal Villa Sea View, complete with your own private pool. It’s not just the award-winning Zara spa, which is a destination in its own right. We love how the Movenpick makes sure you are fully immersed in Jordanian culture and traditions. There’s a range of local culinary delights for food lovers and opportunities to get involved with arts and crafts. Life here is therapeutic for both the body and mind.